WIFE - I sure have gained a lot of weight in the last few months! WIFE - What are you talking about?? YOU haven't gained any weight at all! HUSBAND - You're right, I haven't. 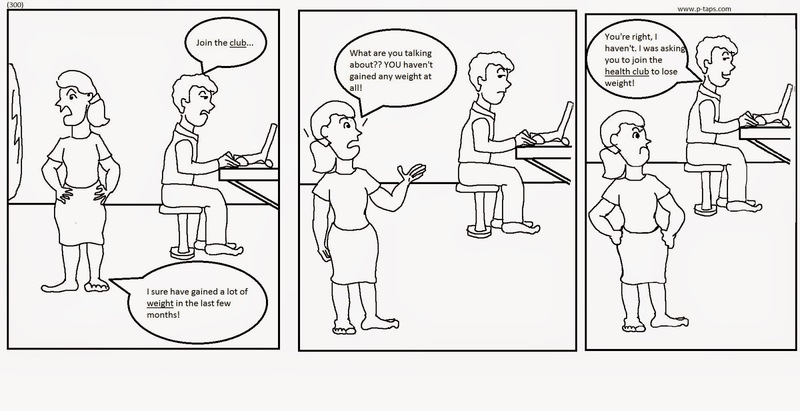 I was asking you to join the health club to lose weight!